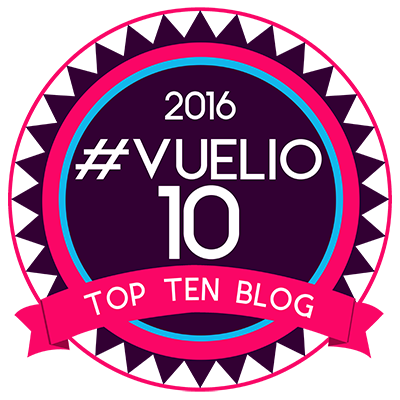 This is a sponsored post but that does not mean its a fun read and the story if my own. Towards the end of my last pregnancy I was doing some serious nesting. With less than a few months to go we decided to get the loft converted into a playroom for the boys so they could play football and have their toys about without us having to constantly say watch the baby. Our loft had no flooring other than a few boards, was just made up of beams, insulating fibre and loads and loads of junk we’ve hoarded over the years. You know what most lofts are like. They workmen set to work in the end of November, hoping to be done within a few weeks. Leaving the loft, boys room and nursery to be done by mid January with Christmas and 3 birthday in between. The loft got done and it looks amazing. 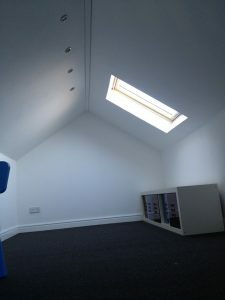 We have a black speckled carpet, a huge cupboard, two velux safety windows and we new we had to get the right lighting for the space. Something not too glaring but bright enough. We got ceiling lights built in. They look great. You can see them in the picture below. The velux windows are great creating amazing light and we can use the telescope at night to look at the stars. It’s so peaceful I just sit up there and read some times. We didn’t get a fixed staircase as it would have taken away part of a room, but we have an pull down stairs which pull down in three parts slowly and have rails at the side so it’s easy to go up and down and safely. We also have rails around the bit there the stairs are so no one falls down by running towards them. The boys have been great and no to go down slowly backwards. I really haven’t worried about them being there. The hatch also locks so they can’t go up and down without me knowing. 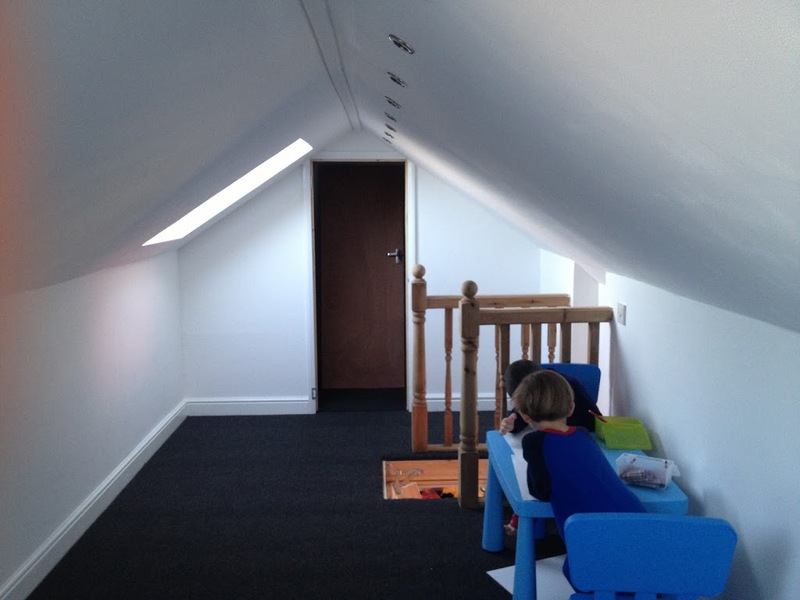 The loft conversion creates an amazing space for the boys to play, have their toys out and to do some drawing, crafting or just chill. 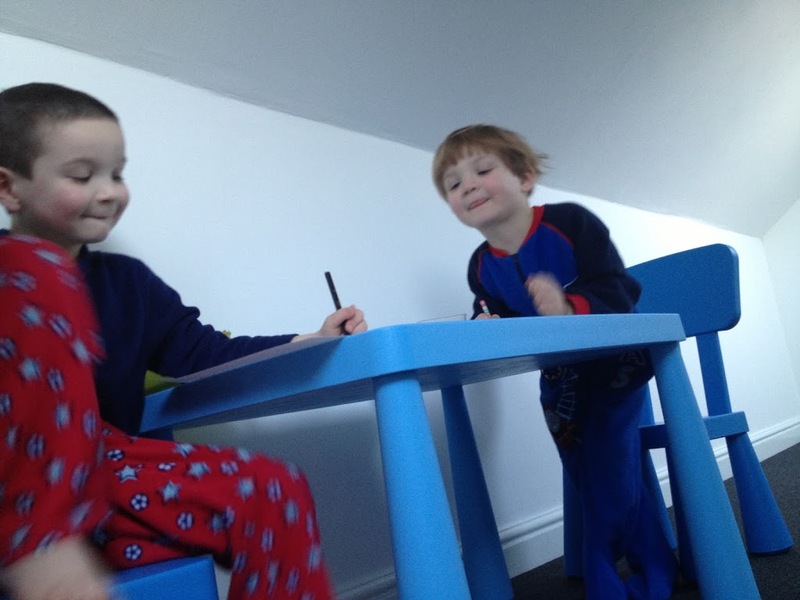 I haven’t done a lot with it yet, the boys have a table and chairs, two chair beds, a unit with drawers, a football table, footballs and lots of fun toys. No I need to decide what to do about storage of the toys, etc. It’s an amazing space with so much potential and so much more as they grow and give them somewhere to hang out as teenagers with their friends. What would you do with the space? Disclaimer:- This is a sponsored post but the words and story are my own, for more information please see my disclosure page.